My daughter Dindin has yet to try online games because I feel she is quite young to handle a computer. Yeah, we are kinda delaying the use of a computer for her, though she is aware of the many things one can do in this machine. Eventually, we will be buying a tablet and that would be the gadget for her. But for now, it is just regular playing for her. I just learned though that Cartoon Network fans can play games about their favorite cartoon shows. For example, if you like the PowerPuff Girls, you will see that there are many different kinds of online games featuring these three cute yet feisty little girls with super powers. And I think that’s great. Browsing through the site, I have yet to discover their other offerings but I think that Cartoon Network has some of the best online games because you get to play games about your favorite shows and characters. I will yet to research more online games for girls that are best for my daughter. But this is a good start. 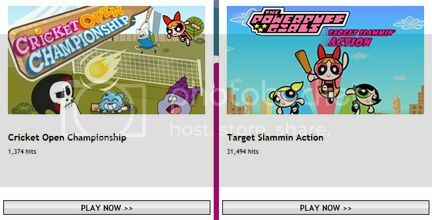 And mind you, the Cartoon Network alone has so many free online games that you can have hours of fun playing here. While Dindin could not yet play, I think I will have to try it out myself because for several years, I got hooked to Powerpuff Girls. And I was no longer a kid back then! LOL I was already working in a cable company and kept on watching Cartoon Network whenever I can. haha I guess being young and feeling young knows no age boundaries. Hence, let’s play! Off the top of my head, I can’t mention just one educational online game for kids, as there are so many out there. Yes, Dindin is better off playing offline for now. Kids can get so addicted to technology, right? My niece and nephew love the cartoon network site, they have so much playing their favorite TV show games, and other activities they have on the site.